Windy days have never been my favorite. It has been blowing steadily for a couple of days and nights. I hear the train whistle off in the distance. Always a calming sound to me. Our senses pick up more than we’re completely aware of on a daily basis. We may depend upon one more than the others. You’ve heard how people with vision problems have a keen sense of hearing. Or those with hearing problems develop better visual acuity. So do we depend primarily upon sight and hearing? What about the other senses of smell, taste and feel? Which Of The 5 Senses Do We Need More Than The Others? Sight and sound seem to be the main ones we’re aware of on a daily basis. But a great chef depends upon taste and smell and then making their masterpiece pleasing to the eye. Someone working with clay, wood or other medium may depend upon the feel of it as well as the look of it. I was thinking our sense of touch is the least used, but as a child we were told repeatedly, “Don’t Touch! !” And many stores have a sign stated the same. So we see something we like and we have to touch it, hold it, and turn it about to examine it thoroughly. We can freely look and hear . . . hummm, what about tasting it? Do We Taste A Brisk Autumn Day? 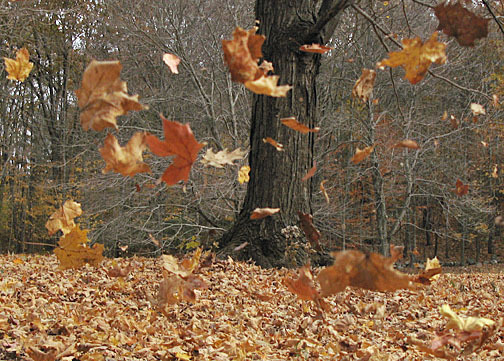 We smell it and see the many changes and hear the rustling of the leaves as they dance down the street in the wind. Are we aware of tasting it? Tasting what is in the breeze? Is would appear that we do . . . and does each season have a taste? I mean the season itself. Not the food we associate with it . . . but just thinking of it brings to mind tastes. I can taste pumpkin pie without having a piece in front of me. Can you? The memory works on our senses . . . We associate different people by certain fragrances . . . a fresh mowed lawn, the brink of a rain storm . . . a trip to the mountains, the desert or the beach . . . each plays on our senses in different ways. With answers only you can provide. We may share some similar feelings, sights, sounds, smells and tastes . . . but they are unique to our likes and experiences. And the triggered memories may be unique as well. I love the smell of a wood burning fireplace. Another may dislike it. The same as oil burning stoves. The wind brings many aromas with it . . . some good and some, not too appealing. And the sound of the wind . . . could be interesting to some and frightening to others. The same with rain, thunder and lightning. Certain music is appealing to many as well as appalling to many others. The same is true regarding different food. Our senses do play a role in many of our decisions of what to listen to, what to watch, what to eat and even where to live. It does make me wonder if we’re using primarily only our five senses . . . or is a sixth sense at play as well . . . ever so slightly . . . Thanks for stopping by! Hopefully, I’ve given you some food for thought. Do You Count Your Blessings Daily? Are you truly thankful for your many blessings? Is this a thought that comes around only during Thanksgiving? There’s plenty of negativity around us. The trick is to ignore it and fill your heart and mind with positive thoughts. I know it is easier said than done. Would You Rather Be Happy Or Complaining All of the Time? Have you noticed how many say the former and do the latter? Most of us are a mixture — we may start out happy and then something we see or hear turns us into a complainer. Or we may get into a rant about something. I know it may seem foolish and childish, but you can make a Unicorn or Pegasus or a combination of the two creating your own little critter to remind you to be thankful, gracious, think positively and count your many blessings. But, at times, not so easy to find things to praise. We do it with our family, friends and neighbors. We appraise people regularly, but may not say anything — hopefully not when negative thoughts come to mind. And many times praise comes out sounding flat and shallow. Because it isn’t practiced enough. The negative too often comes to mind and right out of the mouth. Around the holidays it’s always easy to do little acts of kindness. It isn’t so easy to do them on a daily basis or we haven’t given it enough thought. I was running this idea by many friends and neighbors and complete strangers I encountered the other day. We all nodded in unison. There were stories about giving food to someone who came to the door at dinner time. I may not have succeed here with thoughts of kindness, being thankful and being more positive, but I have illustrated why with such experiences, we aren’t as giving and positive. 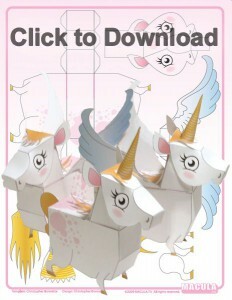 I have made and set out many of these paper craft Unicorns and Pegasuses around my house. I don’t want to be tainted by my own experiences and those of others. I don’t know from where this “entitlement attitude” materialized. I know I don’t like it. I learned a long time ago that no one owes me anything. Not a kind word and definitely not a hand-out in whatever form that may take. These Unicorns and Pegasuses are a reminder to me to be more thankful, positive and kind. I think it’s a gentle way of encouraging children to think of others in a more kind manner and to truly appreciate all the blessings they have in life. I don’t like others manipulating me to change my beliefs and attitudes any more than any other person likes being manipulated. Everyone is entitled to their own opinions, beliefs and attitudes. It is wrong to inflict yours upon others, just as an individual declares something is offensive to them. My goodness, if I had a nickel for every time I was offended by something . . .
To be completely honest with you, I don’t go around looking to be offended by certain things. I don’t think “offended” comes into play as much as not liking something. But my not liking something refers to my not liking it for myself, not trying to change something in others. If there’s something about yourself you don’t like, then you can focus on it and take action to change it. Unfortunately, it doesn’t happen over-night, but with continued effort, you’ll make those changes. I believe that what you concentrate upon is what you bring to you. It’s not magical. You’re more apt to notice those things you have in mind. While I focus upon blessings and being thankful, I realize how truly blessed I am and how I have many things for which to be thankful. The paper crafts are merely a reminder for me to leave the negativity behind and concentrate upon positive things. Things that enrich my life. Not tear it down. It’s also helpful to find the humor in things, rather than being disgusted by them. It’s all about choices and priorities. They’re different for everyone. 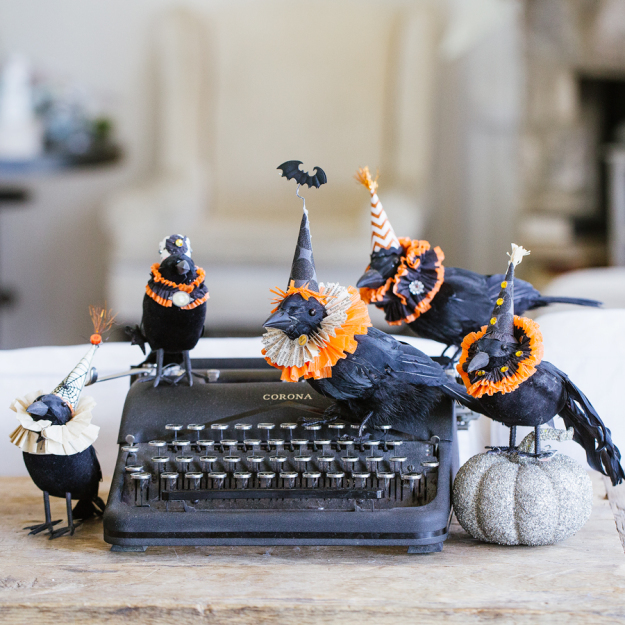 I’m pushing my thoughts ahead to Thanksgiving during this Halloween week because I’m prepared for Halloween and not for Thanksgiving. I know there are many who have Thanksgiving and Christmas all planned. I am happy for them. They have travel reservations to set up. I admire planning ahead. I’m very grateful to those of you who have read this post to the end. I hope the Unicorns and Pegasus find a place in your home. They are cute and well fed on your many kindnesses, positive thoughts, blessings and thankfulness. You practice what you preach, right? At least to the best of your ability. You want to give your children life enriching experiences that allow them to grow into intelligent, productive adults. But . . . no matter your good intentions children can be a bit confused about Halloween and going door-to-door to get candy. The quote may be an extreme example. It is also pretty far from the truth. 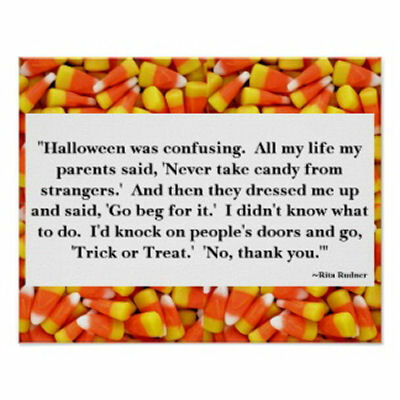 We usually guide our children to do their trick-or-treating within the neighborhood where you pretty much know everyone. You’re giving your children a safe Halloween experience where they can dress up in costume and go out in the night with lots of other children to collect a variety of candy. I like sitting on my front porch to hand out candy. That way I’m outside enjoying the night air and seeing the kids with their parents walk up to get their candy. I love the sounds of shuffling feet, the voices of exclamation when they see the various lit jack-o-lanterns and laughter when they’re startled by an animatronic witch that cackles as they approach the front door. I can feel that anticipation when a group of children ring the doorbell across the street. I love the costumes, the excitement and enthusiasm of the children running around with friends and family to collect a bag full of candy. It is an event I look forward to each year. I usually don’t dress up, but it’s fun to see families all dressed up. Adults have as much fun as the kids. It’s a way for adults to relive their childhood through their children. Most holidays are about friends and family and done behind closed doors. Halloween is a neighborhood activity. It’s where young and old come together to share an annual event of adults giving candy and children graciously receiving it. I know many people don’t buy in to the concept of Halloween with the sinister overtones. I choose to think of it as the one time of year when a neighborhood shares. And all lives are enriched by the couple of hours of handing out candy and seeing hundreds of costumed children having a great time filling their bags with candy. It’s a way of being thankful we live in a nice neighborhood and are given the opportunity to share candy with others. I’m thankful for the many families that go through the effort of buying costumes for their children and taking them out to collect their bag full of candy. I’m as delighted as the children by their laughter and enthusiasm. It brings back memories of those carefree days of youth. And as I sit waiting for the next swarm of excited trick-or-treating children, I can count my blessings. This will be my precious Diva’s first Halloween with me. I want her to be safe, that’s why I’ll sit on the front porch with her instead of having children ring the doorbell. This way we can see who’s coming to the door and don’t have to listen to the sounds outside . . . we can see and hear them coming. 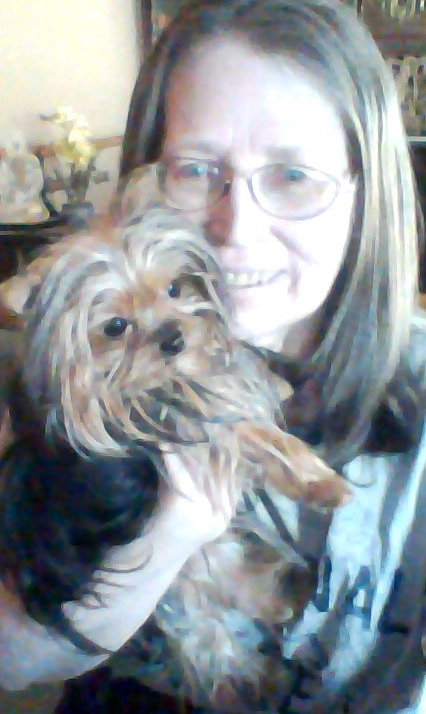 I know my other pets enjoyed sitting on the front porch on All Hollows Eve and I believe Diva will be equally joyous and thankful to participate. Last year we took a little walk around the neighborhood after all the trick-or-treater were gone. Porch lights were still shining brightly . . . the slight nip in the air . . . and the silence . . . except for the echo of our footsteps in the still night air. I remember it was a bit eerie . . .
I’m fascinated by haunted houses. Not for me to explore, but for me to hear the true experiences of others. They usually begin with finding their dream house . . . and ends with it becoming their worst nightmare. This isn’t a spoiler alert. It is how these stories seem to happen. You’ve heard them, too. I can relate. Plus, I’ve heard hundreds of stories. I’m always disturbed when they involve children, but small children seem to be able to see “the other side” so much more clearly than adults do. I prefer for kids to be kids and not be burdened by the creepy stuff that attaches to houses . . . and to people. It’s easy for me to say to research a home before moving in. Sometimes the timing isn’t right and there are always incomplete records and there’s that Pandora’s Box concept of not sticking your nose where it doesn’t belong . . . or open up something you can’t undo. Well, that works for a day or two. Darla and her young son just moved into a house that was provided by her employer. She was recently divorced and wanted to make a new life for herself and her son. Her brother helped them move in one Saturday. He noticed how his nephew kept staring at the closed closet door. The young boy seemed to be in a trance. He called his sister. Bob, Darla’s brother, went into the bedroom to look inside the closet, but the door was stuck. Darla started having second thoughts about the house, but she couldn’t afford to move and didn’t want to seem ungrateful to her boss. Getting the house was a big help to her. Darla worked for a real estate company and she learned the house had always been a problem. The company bought it at auction to flip it, but no one was interested in buying it and renters stayed just a couple of months and moved out. She went way back into the newspaper archives and found an article about a young boy who was chained in the closet and starved to death. She brought it to the attention of her boss, Dan. Darla declined the offer. She was going to help the spirit of the child find the light. After the house was blessed and a psychic came, the house felt lighter and more comfortable. The spirit of the child was sent to the light and Darla and Nate had no problems. Darla eventually bought the house. I don’t know if I would have bought the house. I don’t like the idea of a child being chained and starved in a closet. I wanted to know more about the incident. Why the child was chained and what happened to the parents. It was back in the 1940’s when a young couple and their young son moved into the house. This young couple wasn’t ready for marriage and definitely not equipped to be parents. They would chain their son to the wall in the closet when they’d go out drinking and dancing at night. One night the young man got into a fight at the club and was stabbed to death. The woman ran off with the assailant. They were apprehended a few weeks later and both were arrested, tried and convicted of murder. The woman never mentioned having a son, so no one checked the house. After the trial, the landlord went into the house to prepare it to be rented. He found the young child chained to the closet wall . . . dead. This is one of those incidents that haunt you. I kept thinking about the poor child and debated whether to tell this story or not, but learning the truth, I had a better understanding of Darla’s decision to buy the house after taking care of the child’s spirit. Nate remembered the little boy in the closet. It wasn’t a traumatic experience for him. I’m not into the gross, but I can appreciate the spooky and the thought provoking. It got me thinking . . . always a dangerous sign . . . So many . . . yes, so many people have a fear of clowns . . . how would clowns work in place of the birds. Maybe a bit too creepy to create if you have a fear of them . . . Yet these birds do have a bit of a clownish feel with the ruffled collar, yet that could be the Victorian or Elizabethan era theme. Witches would be a safe bet . . . ghosts, too . . . and all those people who are into zombies . . . that would be a scary way to go. You get any sort of gathering of the creepy and scary and it brings inspiration of other frightening spooky images. Or a witch’s hat or shoe . . . I was thinking of a model train engine . . . maybe even a model car . . . an old airplane . 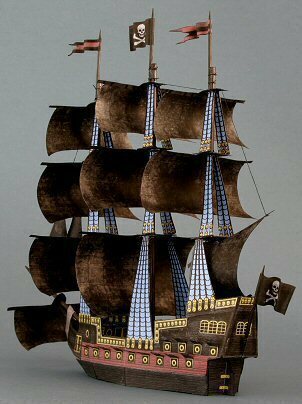 . . or a pirate’s ship . . .
You may like a skull with some bones . . . I find The Dark Promise appealing . . .
And you’ll find a lot of interesting things by Ray O’Bannon from Ravens Blight of interest. 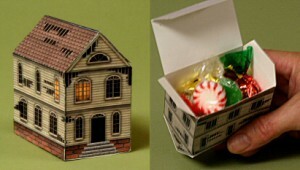 Here’s a Haunted House Treat Box you may enjoy. It’s perfect for giving treats to the neighbors and for kids to give treats to their friends and maybe even their teacher. I love paper craft boxes for all occasions. Thanks for stopping by and have fun over at Ravens Blight.